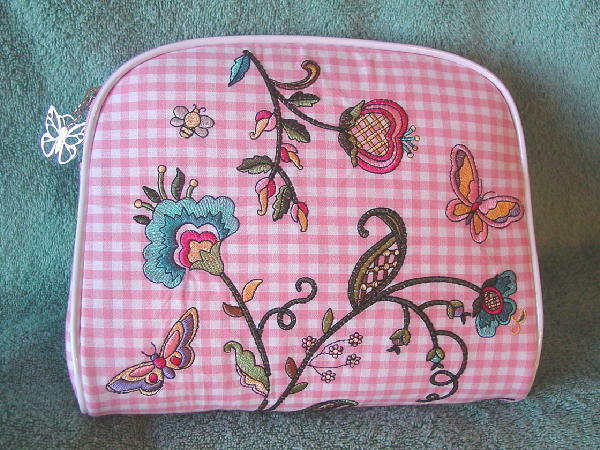 This never-used pink and white gingham fabric clutch can also be used as a makeup bag. 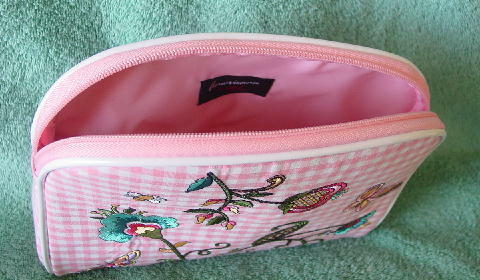 It's light in weight and the interior has a pink lining and a fabric Sharif tag. The front has an embroidered butterfly and floral design in greens, blues, pinks, light purple, golden yellow, silver, and brown. The back does not have an embroidered design. It has a white vinyl cord edging and a top side to side zipper with a silver-tone metal butterfly pull.